Long Beach Heating and Air Conditioning is the best choice in Long Beach for heat pump sales, installation, replacement, service, repair, and maintenance. We have highly experienced technicians who are certified by NATE specifically for heat pump troubleshooting and equipment installation. They stay up to date on all of the best practices for heat pump installation and care and are extremely familiar with all major makes and models of heat pumps. With Southern California's moderate climate conditions, a heat pump can be a great option for many residential and commercial property owners looking for affordable, year-round heating and cooling. Heat pumps work by moving heat from cooler spaces to warmer spaces. Because they work by moving heat rather than generating it, a heat pump can use significantly less energy than a traditional furnace or air conditioner. 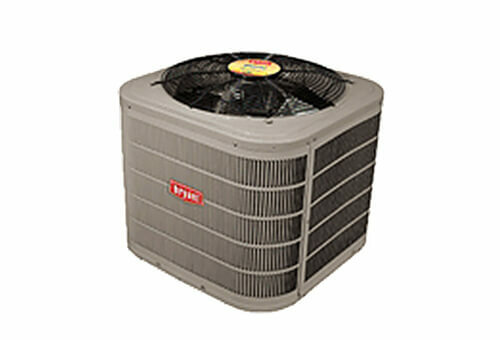 Bryant Heating & Cooling Systems manufactures some of the most high-efficiency heat pumps on the market today and offers them in a broad range of price points to accommodate nearly any budget. While most of their heat pumps are Energy Star qualified, one stands out above the rest: the Evolution® Series Heat Pump, which was named ENERGY STAR Most Efficient Model in 2014 and a Consumers Digest Best Buy. Give us a call today. We provide free on-site consultations for residential and light commercial heat pump installations, upgrades, and replacements anywhere in Long Beach, Los Alamitos, Seal Beach, Signal Hill, Huntington Beach, Palos Verdes, Lakewood, Norwalk, Downey, and surrounding cities. During this consultation, we'll evaluate your heating and cooling needs, determine which heat pump or other HVAC equipment will best meet them, and provide you with a few models to consider. We're Long Beach's exclusive Bryant Factory Authorized Dealer and keep a large amount of inventory in stock. We offer competitive pricing on all Bryant heat pump sales and installations, and back them with a 100% satisfaction guarantee. Having regularly scheduled tune-ups is critical to maintaining and maximizing the efficiency, functionality, and longevity of your heat pump. At Long Beach Heating & Air Conditioning, we offer seasonal heat pump tune-ups at very affordable prices as needed or on a regular schedule as part of a service agreement. With nearly 60 years of HVAC experience and NATE-certified technicians, we're qualified to provide preventative maintenance services for all major makes and models of residential and light commercial heat pumps. Whether you discover that your heat pump requires service during a routine tune-up or your heat pump has suddenly stopped worked, Long Beach Heating and Air Conditioning is prepared to take care of your needs. Our heat pump diagnostic service is just $89 and ensures that you get a complete and accurate diagnosis of what's causing the malfunction. Our service technicians arrive with a vehicle that's well stocked with state-of-the-art tools and equipments as well as high-quality OEM and universal parts to repair a large percentage of service requests. If we don't have an item in stock, we can promptly order it. We always provide personalized service, honest advice, and a great value. Call today to schedule a heat pump service and repair appointment in Long Beach, Lakewood, Cerritos, Artesia, Carson, Huntington Beach, San Pedro, Manhattan Beach, or any other nearby city. Long Beach Heating & Air Conditioning is Long Beach's oldest and largest HVAC company. We're also the area's exclusive Bryant Factory Authorized Dealer. Our HVAC service has earned us a spot among Bryant's Circle of Champions and numerous positive reviews on Yelp and Angie's List. We're licensed, insured, and family owned and operated. Our labor is guaranteed for one year on most repairs and for two years on new installations. We also provide a 30-day warranty on parts. The company responds promptly to my service request. The technician was friendly and knowledgeable. He provide a number of options and implemented the one I chose. The overall experience was dealing with a professional outfit. Recommended. 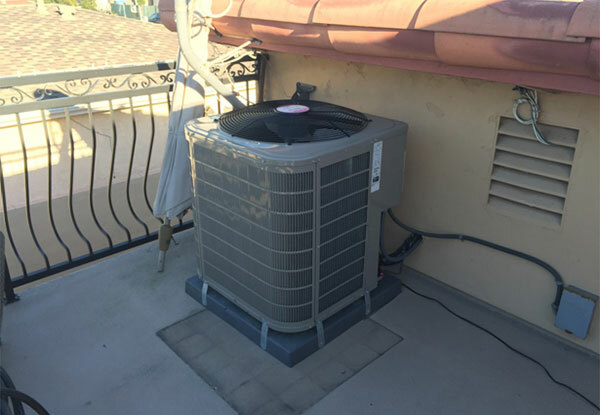 This air conditioning installation was done by Long Beach HEating & Air Conditioning for a residential client in Hermosa Beach, CA.